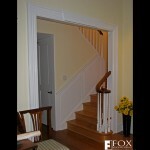 This sapele handrail was made for a home near Rittenhouse Square in Philadelphia. 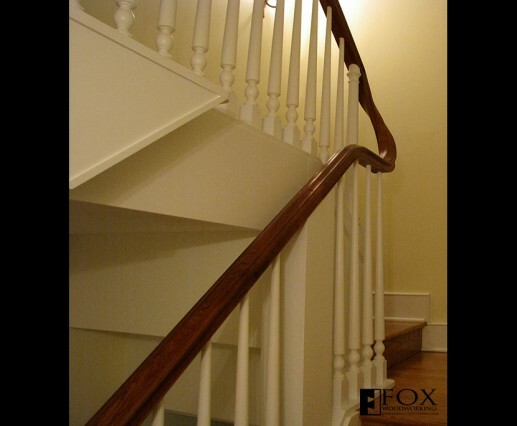 Because of the confined space, we were asked to make the handrail - and balusters - removable to allow for the easier movement of furniture up the stairs. 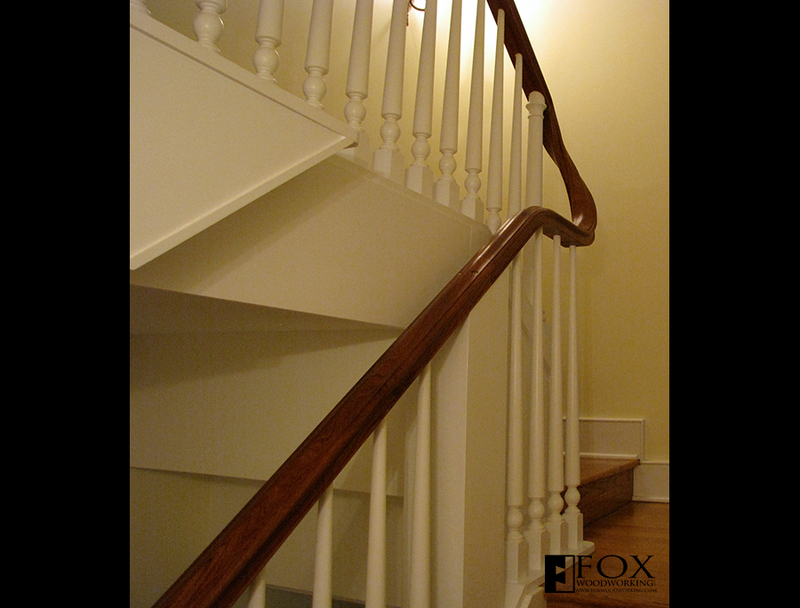 We made the handrail, balusters, bottom plate, and newel post as one unit that can be securely fastened into place or removed. 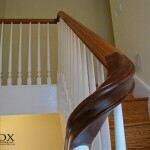 Above the removable sapele handrail, there is a hand-carved, sinuous sapele downsweep.